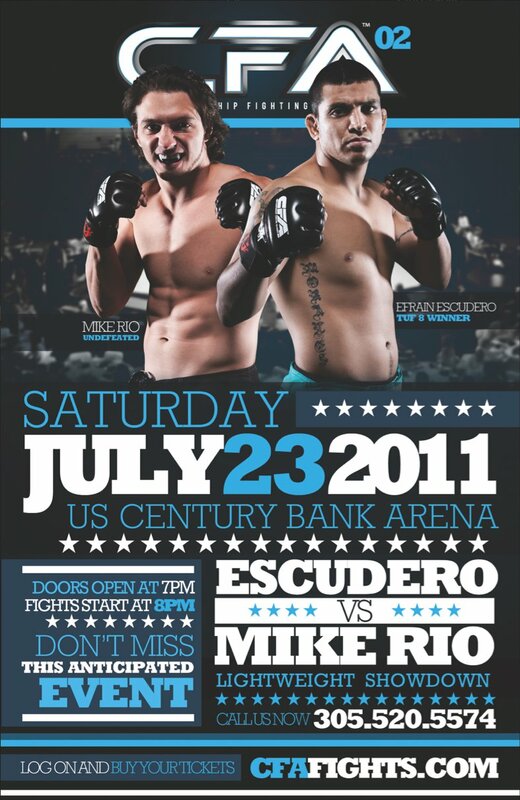 Efrain traveled to Miami this weekend to take on heralded up and comer Mike Rio at CFA2 in Miami, FL. Efrain had a great performance and was rewarded with a unanimous decision for his work. Efrain has been very committed to in the gym and it shows in quality performances like the one he had in Miami this weekend. Efrain will be traveling to England in September to fight in BAMMA, so it’s right back to work for “Hecho en Mexico”. Congratulations Efrain, you were awesome! On Saturday, at the US Century Bank Arena in Miami, FL, Efrain “Hecho en Mexico” Escudero steps back in the ring to take on tough competitor Mike Rio. Rio is a decorated wrestler and a great competitor but Efrain has had a great camp and is ready for this next test. Good luck Effy, your team is behind you 100 percent! Do your thing!! Rage in the Cage 153. Chris Gruetzemacher fought for the 155 lb belt and Jamie Schmidt fought for the 170 lb belt. This video shows some backstage preparation and some fight highlights as two of the Lab Elite try to become champions. The MMA Lab held a boxing/kickboxing/grappling smoker and the MMA Lab/JCBJJ grappling competitors went 4-0-1 in the competition. We are very proud of our students; Eric, Wyatt, Dylan, Daniel and Ty. You guys did great! On Saturday July 16, we had an awesome day at the MMA Lab. First, Efrain”Hecho en Mexico” Escudero had his final MMA rounds in preparation for his fight in Miami on July 23. Next, Robert Drysdale taught a benefit seminar for our good friend Federico Erikkson who is fighting cancer. Later in the afternoon, Rick “the Jet” Roufus put together a smoker that included amateur boxing, kickboxing and grappling matches all inside the Lab. And, as if that were not enough for one day, MMA Lab Elite fighters Chris Gruetzemacher and Jamie Schmidt fought for title belts at the Rage in the Cage. We had a great time and it was nice to see all the parts of the Lab working together. We put together a couple of short videos highlighting our great day, hope you enjoy them. It’s time, once again, to introduce you to another member of the JCBJJ family; Brian Walls from the MMA Lab. 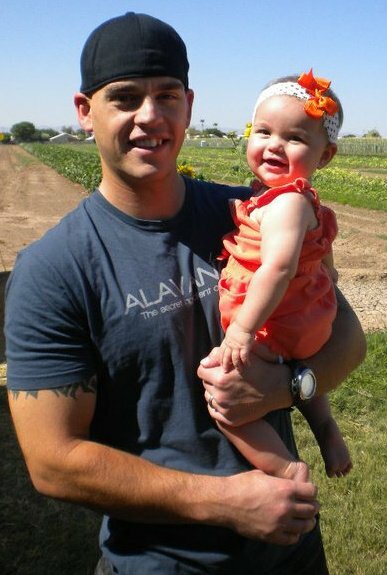 Brian is a great guy and a very technical jiu jitsu practitioner, but his greatest asset is his wonderful family. Brian’s wife, Jessica, trains with him at the Lab and we get to see their beautiful daughter come visit us too. People like the Walls family are what make what we do so special and meaningful. Thank you Brian and Jessica! Hope you all enjoy meeting Brian and his family. JCBJJ Bonus Technique: Renato Freitas, MMA Lab, Shows His Patented Sweep! Renato Freitas takes a couple of minutes to show one of his favorite techniques…in English and Portuguese! Renato trained with me at the Gracie Academy and is one of our most valuable assets on our team at the MMA Lab. Thank you Renato for sharing, hope everyone enjoys the technique.